Energy Storage Systems (ESSs) are evolving as a viable technical and economical solution for improving both short-term and long-term grid operations. Increased peak power demand, limited generation capacity, the variability of renewable energy generation, and transmission and distribution issues can be addressed, in principle, with ESSs. Different types of ESSs can be employed for various grid-level applications, such as voltage and current regulation, power quality management, load leveling, and peak power shaving, as explained in the following. ESSs can improve the operation of ancillary services. Due to the bidirectional power flow capability, ESSs can absorb or inject active and reactive power from and into the grid, respectively, in order to regulate the voltage and frequency and provide higher quality and smoother power. The stored energy can be used to manage the power quality in the short term and to provide increased reliability for the grid in the long term. Load leveling and peak shaving are possible by following the load profile and controlling EESs to match the required energy. EESs can also provide spinning reserve and backup power supply, which could be utilized in sudden events, such as momentary outages or ride-through transients. Typically, there is a mismatch between the generation of energy and the demand in peak hours. Time shifting of energy delivery is a unique benefit from ESSs, which enables the utilities to absorb excess energy in off-peak hours by charging the ESS and release it during peak hours of high demand by discharging the storage. Functional and economic benefits, related to different higher on-peak and lower off-peak tariffs, can be achieved in this manner. Without ESSs, the traditional approach is to provide additional and costly generation capacity able to cover up to the maximum possible load demand. 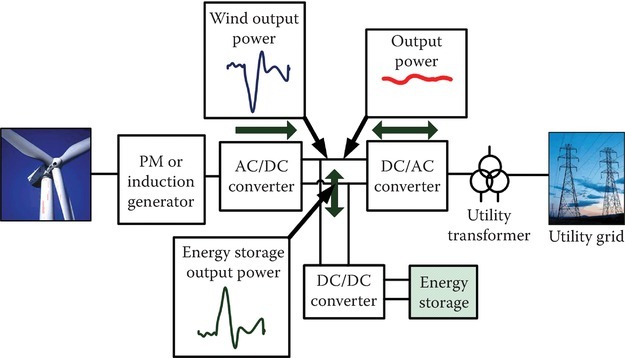 The arbitrage over time or the time-shifting technique can also be used for renewable energy generation plants, in which case the harvested energy can be stored during off-peak demand and made available during peak time. Capacity credit for ESSs allows electric utilities to defer the installation and upgrade for an existent generation or transmission infrastructures. Since expansions for power plants, power lines, and transformers, which may be required in order to meet expected demand, are very time-consuming and costly, electrical utilities can take the advantage of the extra capacity provided by ESSs in order to satisfy the demand and reduce the load shedding caused by an inability of the electrical grid to provide adequate capacity. Due to the intermittent nature of renewable energy sources, which are highly affected by geological, time, and weather conditions, their output power may fluctuate unpredictably and may not meet the quality required in order to directly connect to the electrical grid. In this case, ESSs can provide smoothening services, such that the intermittent output power from renewable energy sources is adjusted, and fluctuations mitigated, as schematically illustrated in Figure 1 and Figure 2. Figure 1 Block diagram of a wind turbine with a battery integrated at the turbine level. One of the main challenges for microgrids is to provide a stable and reliable power system for grid-connected and islanded operation. 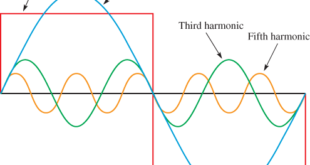 Voltage and frequency stability are major concerns, especially if generation includes renewables, such as solar and wind, and the load demand is variable. EESs can provide voltage and frequency stability for short-term and long-term applications. 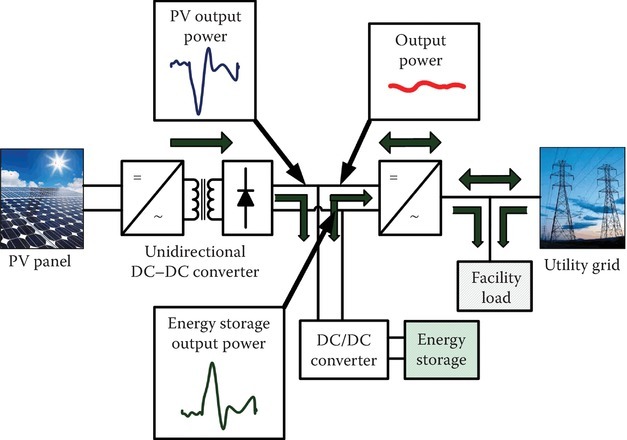 Practical large installations have been demonstrated in combination with wind turbines and PV systems, and ongoing research is conducted for optimizing the location and size of microgrid EESs in order to minimize the system cost and energy loss while ensuring improved system reliability. In microgrids, EESs can be employed, distributed, or centralized ESSs. In a distributed installation, EESs are capable of actively managing and supporting local loads. A centralized configuration for ESSs is typically employed in smaller microgrids with critical loads, where a main backup power supply is required in case of power outages. Energy storage technologies have been developed also in order to meet grid-level requirements. 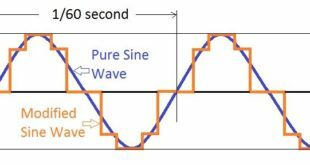 Some applications, such as load shifting for the duration of hours, require an ESS with high energy, while voltage and frequency regulation need high power density. Lifetime, response time, DOD, and efficiency are other significant factors for the selection of energy storage type for a given application. 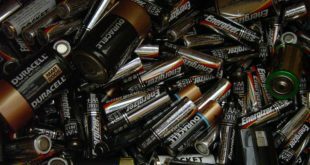 Typical electrochemical batteries have a lifetime in the range of 5,000–10,000 cycles, while pumped hydro, compressed air, flywheels, and capacitors are rated at 10,000–100,000 cycles (Table 1). 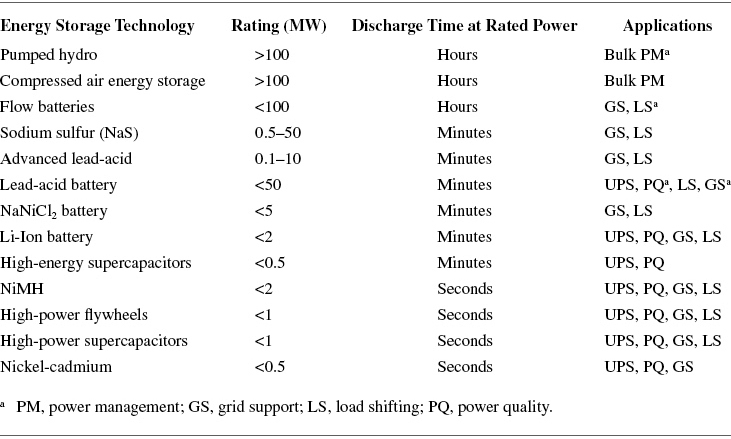 On the other hand, pumped hydro and compressed air are classified as having a rather slow response time in order of minutes, while batteries, capacitors, and flywheels are characterized as fast responders in order of fractions of seconds (Table 2). In terms of technology maturity and commercial availability, pumped hydro, lead-acid batteries, and sodium sulfur batteries have the highest rankings. LMO-based Li-ion batteries—A version employing NMC/graphite for the active material of the electrodes has been installed by Mitsubishi Heavy Industries. The battery is rated for 1 MW and 400 kWh, is installed in a container and is used for load leveling and peak shaving in the grid-connected operation of the wind farm and mega solar power generation. LTO-based Li-ion batteries—Two 1 MW units based on LTO chemistry have been developed for frequency regulation application by Altairnano. 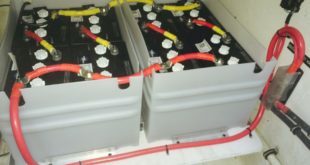 It is estimated that this battery will have a lifetime in the range of 20 years by performing 10%–30% DOD with several cycles per day for grid stabilization applications, while for applications like peak shifting with 80%–100% DOD and one cycle per day, it is expected to reach a lifetime of 50 years. Lead-acid batteries—These are the most mature and commercialized electrochemical battery technology with more than 35 MW installed worldwide for grid-level applications, such as grid stabilizing, short and long duration power quality improvement. Flywheel energy storage (FES)—The largest installed system of the kind is rated for 20 MW and 5 MWh and consists of 200 spinning mass units. This FES is developed and installed by Beacon Power in Stephentown, New York, and is employed for frequency regulation. Sodium-sulfur (NaS) batteries—A 2 MW, 14 MWh system was installed by the American Electric Power at Churubusco, Indiana, and is used for smoothening wind farm intermittency. The largest NaS battery, rated at 80 MW, will be installed at the Noshiro thermal power plant in northern Japan. Pumped hydro energy storage—This is the most mature energy storage technology available and has a worldwide installed power capacity of 127 GW. This technology is well matched for load leveling and peak shaving applications for electrical utilities as well as long-term storage, even at the transmission level.